Home Tags Posts tagged with "bailout"
Greece is hopeful that Eurozone ministers will recognize the fiscal progress it has made. 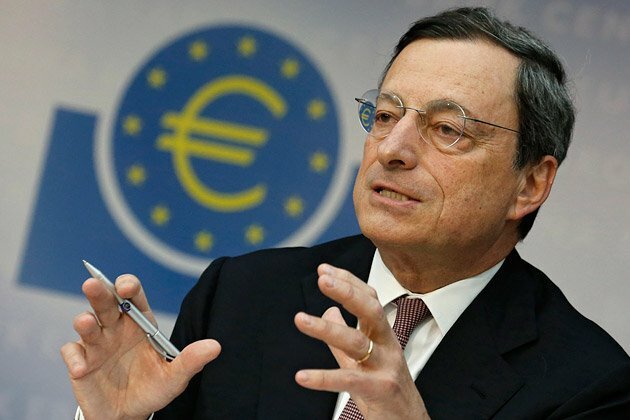 Eurozone finance ministers are meeting in Brussels on May 11 to continue negotiations on a deal to release a portion of billions of bailout funds. Greek ministers say they will honor a payment of €750 million ($834 million) to the IMF due on May 12. No breakthrough is expected at today’s talks, with many issues unresolved. Greece’s left-wing government has said it will not break anti-austerity electoral promises, something that has put the country at odds with European creditors. 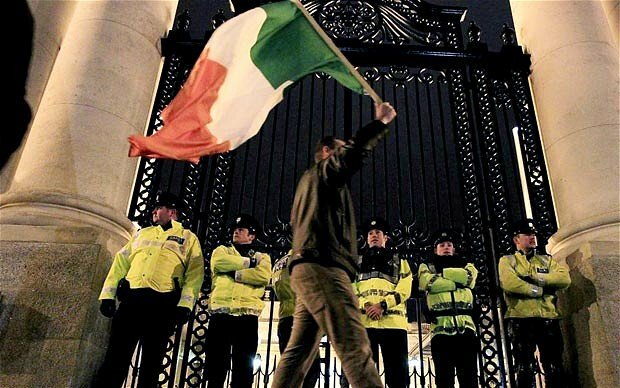 The country has until June to agree a new reform deal with its creditors. PM Alexis Tsipras is reported to have told his cabinet that Europe needs to acknowledge the economic reforms that Greece has made. Eurozone ministers are not hopeful of a deal being struck. 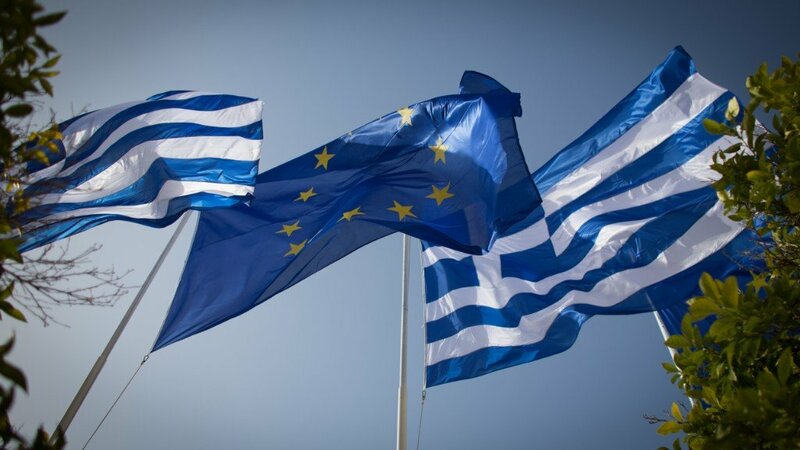 “We have made progress, but we are not very close to an agreement,” Eurogroup chair Jeroen Dijsselbloem told the Italian newspaper Corriere della Sera. “It will surely not be reached at the Eurogroup meeting on Monday,” he said. Greece did meet May 6 deadline to pay €200 million in interest to the IMF. 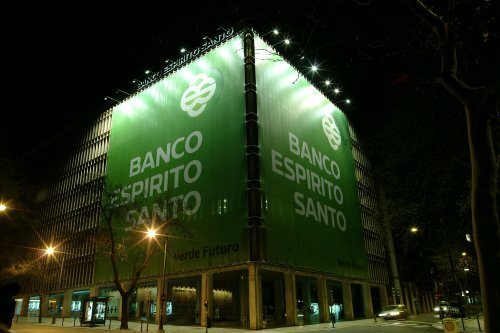 Portugal’s central bank has announced a plan to rescue Banco Espirito Santo (BES). The group will be split into two – a “good bank” with the healthy assets and a “bad bank” with the riskier ones. The “good bank”, which will be called Novo Banco, will be loaned 4.9 billion euros ($6.6 billion) from what is left of Portugal’s bailout fund. The move had been expected after BES on Friday reported a record loss of 3.6 billion euros for the first half of the year. Since June, when concerns about the financial health of the company first came to light, its shares have plunged 89%. BES, which is Portugal’s largest listed lender, will be delisted from the stock market on Monday, with shareholders set to lose almost all their investment. All of BES’s depositors will be protected. “The plan carries no risk to public finances or taxpayers,” said Carlos Cosa, Portugal’s central bank governor at a late night news conference in Lisbon. “There was an urgent need to adopt a solution to guarantee the protection of deposits and assure the stability of the banking system,” he added. Novo Banco will consist of the bank’s core business of taking deposits and lending to home-buyers and companies. It is so far unclear what will happen to the “bad bank”, most of which relates to other businesses in the Espirito Santo Group, which include tourism, health and agriculture. The cash injection for Novo Banco comes from a so far unused part of Portugal’s bailout fund from the EU and the International Monetary Fund (IMF). The idea is that Novo Banco will be run by the “resolution fund” – set up as part of the eurozone’s banking reforms and funded by Portugal’s financial institutions. The bank will eventually be sold off, with the proceeds used to pay back the 4.9 billion euro loan from the bailout fund. In a statement, Novo Banco’s chief executive, Vitor Bento said “the key uncertainties that have been hanging over the institution for some time have now been removed”. “Novo Banco is also taking with it… a dedicated workforce, a strong customer focus and comprehensive banking services that help to drive the Portuguese economy,” he added. Vitor Bento was installed as chief executive of BES just three weeks ago as part of a management reshuffle designed to restore confidence in the bank. The European Commission said it approved of the rescue plan. “The adoption of this resolution measure is adequate to restore confidence in financial stability and to ensure the continuity of services and avoid potential adverse systemic effects,” it said in a statement. Portugal itself only recently emerged from a three-year bailout plan. It was lent 78 billion euros in total by the EU and the IMF on the condition that it implemented severe austerity measures. The IMF has approved a $17.1 billion bailout for Ukraine to help the country’s beleaguered economy. The loan comes amid heightened military and political tension between Ukraine and neighboring Russia. The loan is dependent on strict economic reforms, including raising taxes and energy prices. The money will be released over two years, with the first installment of $3.2 billion available immediately. The head of the International Monetary Fund, Christine Lagarde, said the fund would check regularly to ensure the Ukrainian government followed through on its commitments. In March Ukraine put up gas prices by 50% in an effort to secure the bailout. The government has also agreed to freeze the minimum wage. The bailout had to be approved by the IMF’s 24-member board, which includes a Russian representative. The IMF loan will also unlock further funds worth $15 billionn from other donors, including the World Bank, EU, Canada and Japan. In December last year, Ukraine agreed a $15 billion bailout from Russia, but this was cancelled after protests forced out pro-Russian President Viktor Yanukovych. On Wednesday, the IMF warned that Russia was “experiencing recession” because of damage caused by the Ukraine crisis. The fund said $100 billion would leave Russia this year, partly caused by the US and EU sanctions. 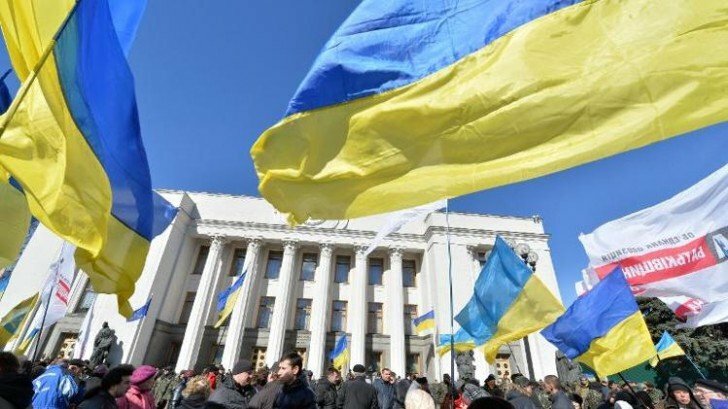 The sanctions were imposed after Russia annexed the Crimea region from Ukraine last month. The IMF bailout will also make available $1 billion in loan guarantees from the US, which was recently approved by Congress. Earlier on Wednesday, an international conference in London ended with a commitment to help Ukraine recover tens of billions of dollars worth of assets which were allegedly stolen by the ousted President Viktor Yanukovych and his allies. 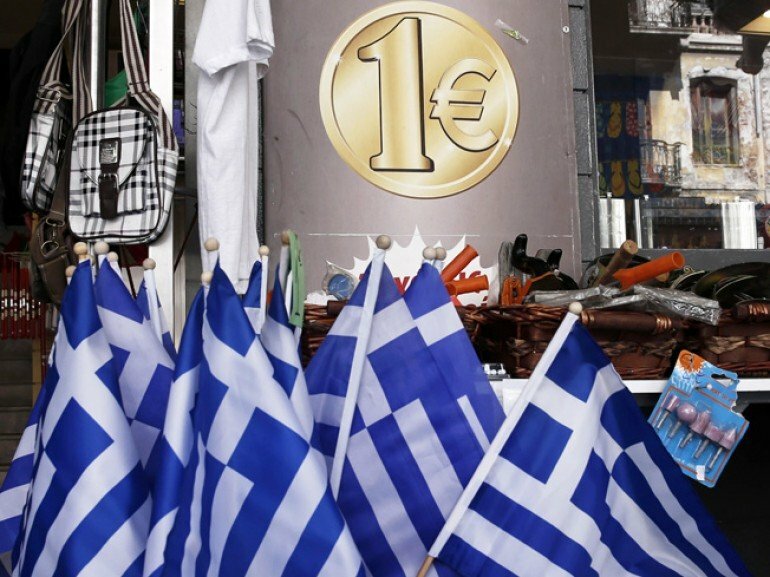 The International Monetary Fund has admitted that it made mistakes in handling Greece’s first international bailout. The IMF said it was too optimistic in its growth assumptions and said a debt restructuring should have been considered earlier. Greece was granted a 110 billion euro ($145 billion) bailout by the IMF and EU in May 2010. Another 130 billion euro rescue package was approved in February 2012. 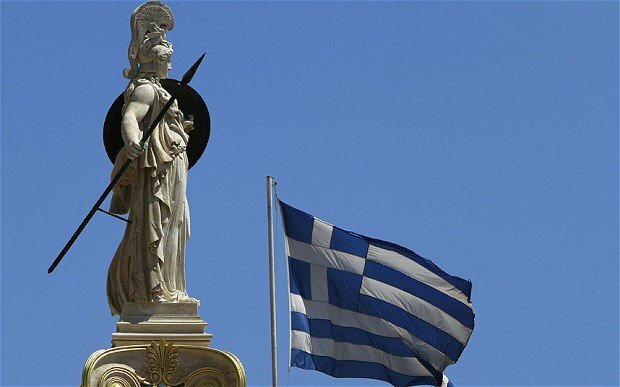 Greece’s first bailout came amid fears the country would default on its debts and that it could spark debt contagion in the eurozone. The IMF has now released a study looking at the handling of the programme. It admitted that it bent its own rules on exceptional access for the programme to go ahead. To justify exceptional access, one of the four criteria that must be met is that public debt is sustainable in the medium term. But staff wanted to go ahead with exceptional access because of fears that any spillovers from Greece would threaten the rest of the eurozone and the global economy. The IMF then amended the criterion to where debt was not sustainable with high probability, “a high risk of international spillover effects provided an alternative justification”. The IMF described the programme, which ran from May 2010 to March 2012, as a “holding operation” that gave the euro area “time to build a firewall to protect other vulnerable members and averted potentially severe effects on the global economy”. 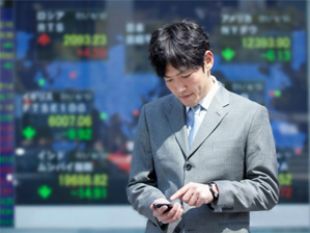 It said it had notable successes such as achieving strong fiscal consolidation, Greece remaining in the eurozone and any spillovers that might have had a severe impact on the global economy were relatively well-contained. 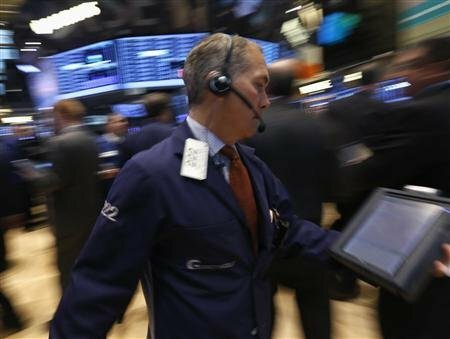 But it also said there were notable failures, chiefly market confidence was not restored, the banking system lost 30% of its deposits and the Greek economy experienced a much deeper-than-expected recession. Greece’s economic output (GDP) in 2012 was 17% lower than in 2009, compared with the IMF and EU’s initial projection of a 5.5% decline. The original growth projections were not marked down until the fifth review in December 2011. The unemployment rate in 2012 was 25%, compared with the original programme projection of 15%. The IMF added that in future Fund staff should be more skeptical about official data. 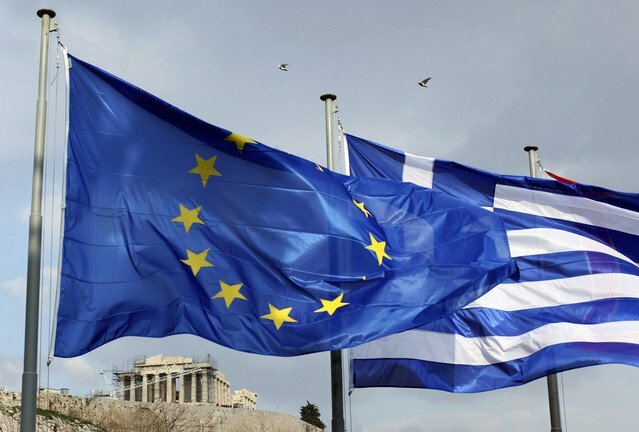 The Fund also criticized the delay in restructuring Greece’s massive debt load by forcing private holders of Greek bonds to take losses, which eventually took place in the first half of 2012. “Not tackling the public debt problem decisively at the outset or early in the programme created uncertainty about the euro area’s capacity to resolve the crisis and likely aggravated the contraction in output,” the report said. It said an upfront debt restructuring would have been better for Greece but this was “not acceptable to the euro partners”, some of whose banks held large amounts of Greek government debt. The report also said there was no clear division of labor between the IMF, the EU and the European Central Bank, the so-called “troika”. It said that while there were “occasional marked differences of view” within the troika, these were generally not on display to the authorities so did not risk slowing negotiations, and noted that “co-ordination seems to have been quite good under the circumstances”. 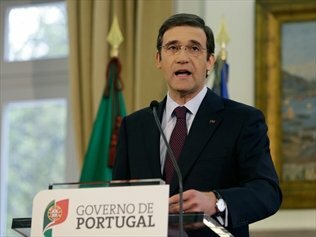 Portugal plans to cut 30,000 civil service jobs and to raise the retirement age by one year to 66 as it tries to meet the terms of a bailout. PM Pedro Passos Coelho said civil servants would also be required to work 40 hours a week instead of 35. The proposals, which would be applied mostly from next year, would save 4.8 billion euros over three years, the prime minister said. Austerity measures have proved deeply unpopular and have triggered large protests. “With these measures, our European partners cannot doubt our commitment” to the bailout, Pedro Passos Coelho said in an address to the nation late on Friday. “To hesitate now would harm the credibility that we have already won back,” he added. Portugal received a 78 billion euro bailout from the EU, the European Central Bank (ECB) and the IMF in 2011. Unemployment stands at nearly 18% – a record high – and the economy is expected to shrink for a third consecutive year in 2013. Last month, the Portuguese Constitutional Court struck down more than 1 billion euros ($1.3 billion) of proposed cuts, which included the suspension of holiday bonuses for public sector workers and pensioners. That forced the centre-right government to look elsewhere for savings – though it has ruled out raising taxes. “We will not raise taxes to correct the budgetary problem resulting from the Constitutional Court’s decision,” Pedro Passos Coelho said. 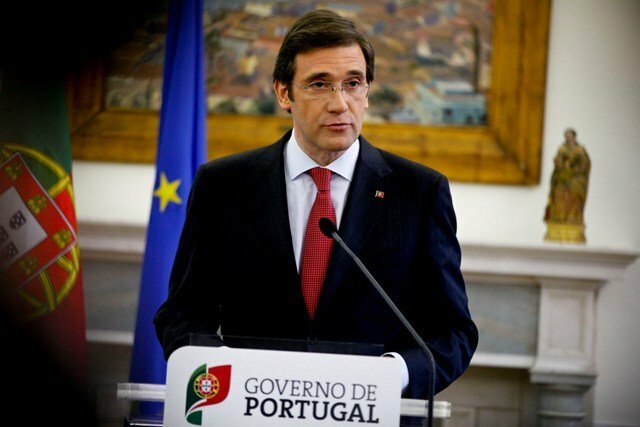 Portugal’s main Socialist opposition party has accused Pedro Passos Coelho of inflicting excessive austerity on Portugal in pursuit of an ideologically driven programme. Cyprus has decided to sell off much of its gold reserves to help finance part of its bailout. An assessment by the European Commission says Cyprus must sell about 400 million euros worth of gold. Cyprus has already been forced to wind down one of its largest banks in order to qualify for a 10 billion euro lifeline from international lenders. Even with that bailout, it is predicted that the Cypriot economy will shrink by 8.7% this year. At current prices, 400 million euros’ worth of gold amounts to about 10.36 tonnes of metal. The sale will be the biggest bullion sale by a eurozone central bank since France sold 17.4 tonnes in the first half of 2009. European finance ministers meet in Dublin on Friday to discuss the Cyprus bailout. Analysts say it is very unlikely that other EU states will become big sellers of the precious metal. 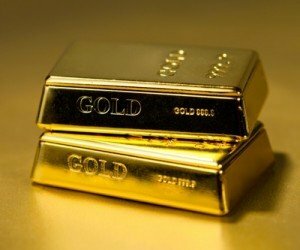 Portugal holds 382.5 tonnes of gold, worth some 14.76 billion euros at current prices, in its reserves, while Spain’s holdings stand at 281.6 tonnes, worth 10.8 billion euros. Italy is the world’s fourth-largest gold holder, with 2,451.8 tonnes, worth 94.6 billion euros. Investigators have found that some key data about bond purchases by Bank of Cyprus is missing. According to Cypriot media, the gaps were found in computer records studied by a financial consultancy, Alvarez and Marsal. Bank of Cyprus – the country’s biggest bank – bought Greek bonds which turned into some 1.9 billion euros ($2.4 billion) of losses in the Greek debt crisis. 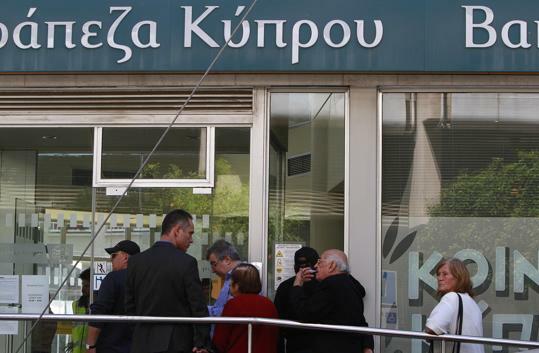 Depositors with more than 100,000 euros in Bank of Cyprus are now facing a big loss. The “haircut” for such deposits in the bank is expected to be about 60%. 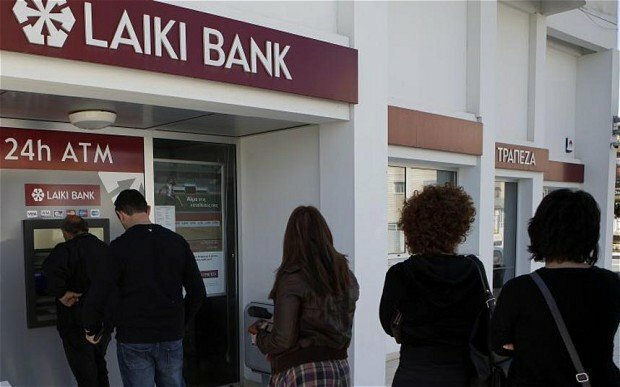 The money taken from those accounts, and from deposits above 100,000 euros at Laiki (Popular) Bank, will be used by the Cypriot government to contribute billions towards the bailout. Strict capital controls – unprecedented for the eurozone – are in force in Cyprus, limiting cash withdrawals to prevent a run on the banks. The “haircut” – hugely unpopular in Cyprus – is a condition for the EU and IMF to grant a 10 billion-euro bailout to rescue the country’s economy. 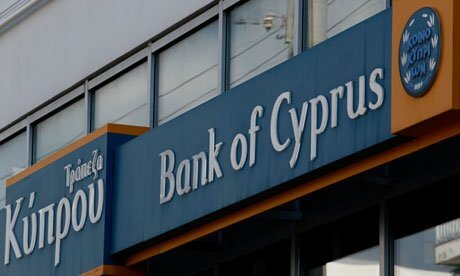 The Cyprus Mail website says information provided by Bank of Cyprus was incomplete and data-deleting software was found on some computers there. There were significant gaps in computer records for the period 2007-2010. It is not yet clear whether the wiping of records was accidental or deliberate. There were signs of mass deletion of data. The central bank says that Alvarez and Marsal are now investigating Laiki too – the island’s second largest bank, which is being wound up and folded into Bank of Cyprus. “The investigation will continue and cover: the purchase of Greek government bonds by Laiki Bank; the expansion of Laiki Bank outside Cyprus; the role and responsibilities of all parties involved,” the Central Bank of Cyprus said on Friday. 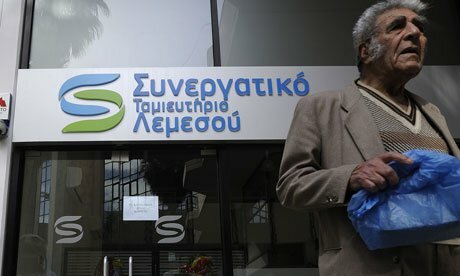 The consultancy’s report on Bank of Cyprus has been leaked to local media, but not yet published. Besides the Greek bond purchases, the consultancy also scrutinized Bank of Cyprus operations in Romania and Russia. The consultancy’s findings have been handed over to the Cypriot parliament and the attorney-general, Petros Clerides. The government has appointed a special judicial panel to clarify what happened in Cyprus’ financial crash and pinpoint any wrongdoing. The Central Bank of Cyprus has decided to ease some of the restrictions imposed as the country’s banks reopened, following the bailout deal. Cyprus’ central bank said it would review the curbs on a daily basis and try to “refine or relax” them when possible. A 5,000-euro monthly limit per person remains in place for card purchases abroad, to stop the flight of capital from the country. Cyprus needs to raise 5.8 billion euros ($7.4 billion) to qualify for the bailout, and has become the first eurozone member country to bring in capital controls to prevent a torrent of money leaving the island and credit institutions collapsing. Earlier on Friday, President Nicos Anastasiade said Cyprus had “averted the risk of bankruptcy” following the 10bn-euro bailout deal with the EU and IMF. “The situation, despite the tragedy of it all, is contained,” the president said. He accused other members of the eurozone of making “unprecedented demands that forced Cyprus to become an experiment”. Also on Friday, Greek media published a list of Cypriot politicians who allegedly had loans written off by banks at the heart of the island’s financial crisis. 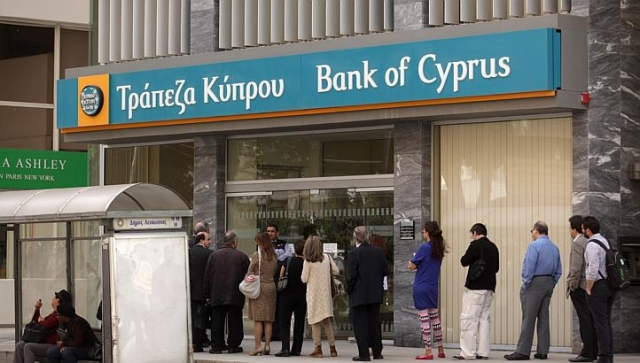 The Bank of Cyprus, Laiki and Hellenic Bank apparently forgave loans of millions of euros to companies, local authorities, and politicians from some of the island’s biggest parties. Cyprus President Nicos Anastasiades says his country has no intention of the leaving the European single currency. The president said the financial situation was “contained” following the 10 billion euro bailout deal with the EU and IMF. 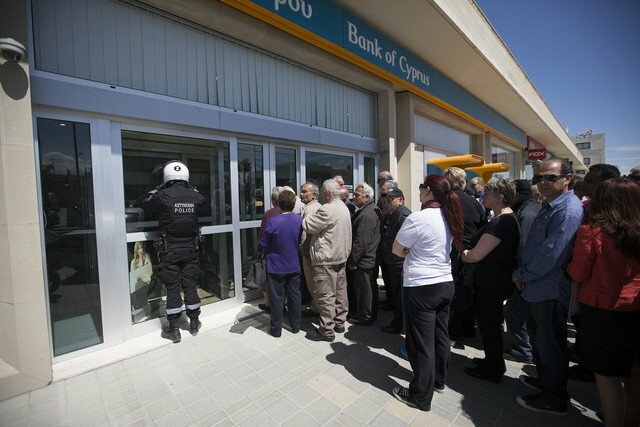 Cypriot banks opened on Thursday, March 28, for the first time in nearly two weeks amid severe new rules imposed as part of the bailout deal. “We have averted the risk of bankruptcy,” Nicos Anastasiades said on Friday. However, Nicos Anastasiades accused other members of the eurozone of making “unprecedented demands that forced Cyprus to become an experiment”. Foreign Minister Ioannis Kasoulides said on Thursday that such controls could gradually be lifted over the course of the month. But many economists predict the controls could be in place for much longer. 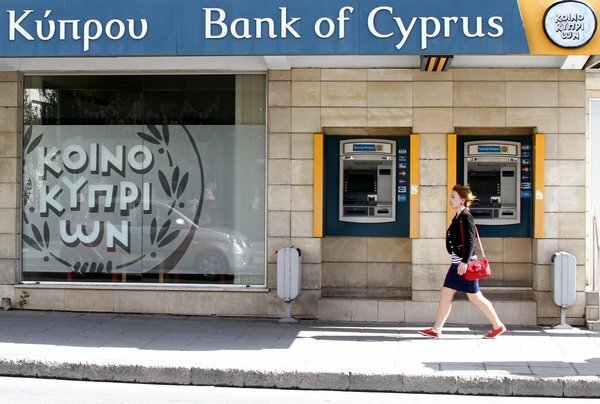 Cyprus banks are to reopen on Thursday at 12:00 p.m. local time, two weeks after they closed to prevent a bank run as a controversial bailout was negotiated. 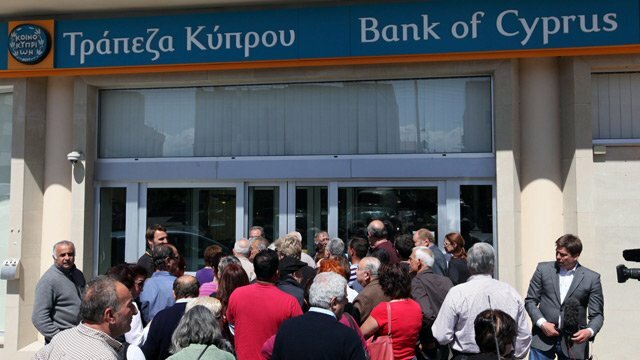 Banks will open their doors between 12:00 and 18:00 local time, the Cypriot central bank said. Customers will also be limited to withdrawing 300 euros ($383) a day, to prevent everyone fleeing with their savings. Capital controls are to be imposed as Cyprus seeks to raise 5.8 billion euros to qualify for a 10 billion-euro bailout from the EU, ECB and the IMF, the so-called troika. Michalis Sarris cited the “lack of substantial liquidity and significant risk of deposits outflow, with possible outcome the collapse of the credit institutions” as the reasons for the restrictions. Depositors in Cypriot banks with more than 100,000 euros could see 40% of their funds converted into bank shares, while those with less than 100,000 euros will not lose any funds – but face limits on what funds they can access. Speaking to the Financial Times, Michalis Sarris said that the controls would be reviewed after seven days, and that some banks could be exempted altogether. Other controls will prohibit people from taking more than 1,000 euros in cash outside the island, with customs officers authorized to make checks at border crossings. Money transfers outside Cyprus are prohibited, with a few very specific exceptions, and there is a limit of 5,000 euros a month in credit or debit card purchases while abroad. The new measures mean that Cyprus is the first eurozone nation to impose capital controls – the absence of which is a fundamental reason behind the monetary union of the 17 members of the euro bloc – since the debt crisis began. Concern about the ongoing situation in Cyprus has continued to weigh on the Athens stock market, with Greek shares ending down 4% on Wednesday. Reuters reported that Yiannis Kypri had issued a statement about his removal, which said: “The reason I was given was that, based on the resolution decree recently passed by parliament, and upon demands of the troika, an administrator had been appointed at the Bank. A European Commission spokesman denied that the troika had demanded Yiannis Kypri’s removal. “These reports are not correct and decisions like this would in any case be the responsibility of the Bank of Cyprus,” he said. 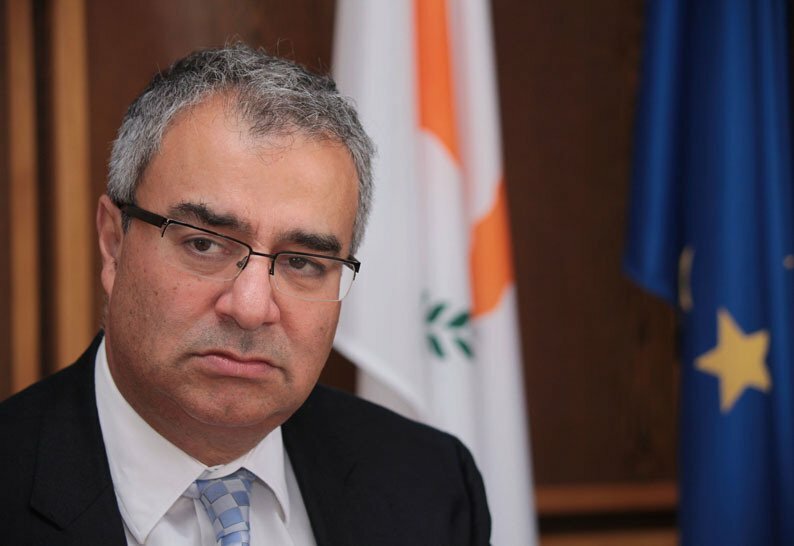 An administrator has been appointed to Bank of Cyprus to restructure the bank. It is being merged with the “good” parts of the failed Laiki Bank, which will be closed down. Bank of Cyprus chairman Andreas Artemis handed in his resignation on Tuesday, along with four other directors, but the bank’s board rejected the resignations. Now Panicos Demetriades, the central bank governor, has sacked the entire board, according to the Cyprus News Agency. Panicos Demetriades was widely criticized on Tuesday for suggesting that Bank of Cyprus was going to be wound up in the same way as is planned for Laiki Bank. 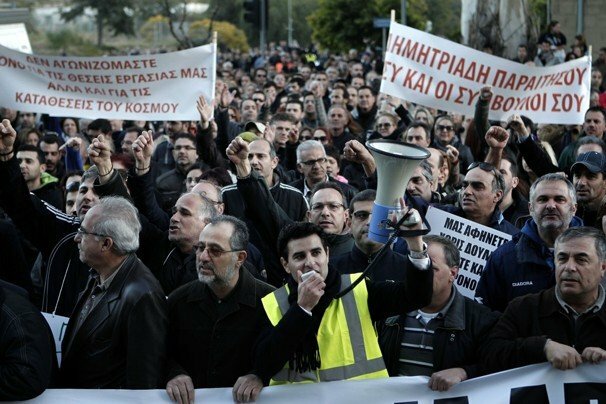 His comments led to demonstrations, calls for his resignation from Bank of Cyprus staff, and a hastily-drafted denial from Finance Minister Michalis Sarris. Panicos Demetriades said “superhuman” efforts were being made to get the banks ready for reopening on Thursday. “Indications are that banks will open tomorrow with some restrictions on capital,” said central bank spokeswoman Aliki Sylianou, speaking to the country’s state broadcaster on Wednesday. The banks have been shut since March 15 while the controversial 10 billion-euro bailout was being negotiated. 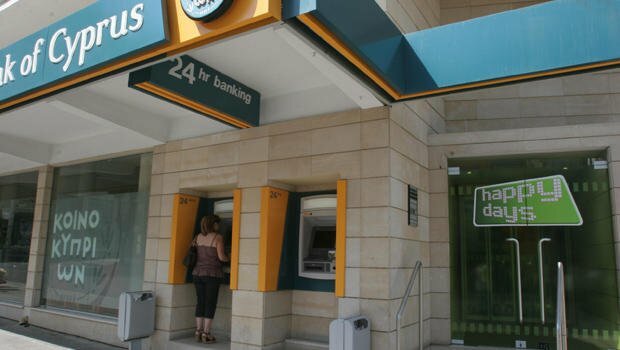 Cyprus banks are to reopen on Tuesday, March 26, although the two at the centre of the crisis, Bank of Cyprus and Laiki, will remain shut until Thursday, March 28. President Nicos Anastasiades has said temporary limits will be placed on financial transactions after a bailout deal imposing a tax on bank deposits. He said “very temporary restrictions” would be put on capital flows, but gave no details. The banks’ reopening came after Cyprus agreed a deal with the IMF and the EU that releases 10 billion euros in support. It was conditional on Cyprus itself raising billions of euros, which it will do by way of a tax on deposits of more than 100,000 euros. The banks shut a week ago after the country’s first money-raising solution, which would have hit smaller deposit holders as well as larger holdings, was rejected. On Monday morning, hopes that the deal would solve the crisis lifted shares. But later, stock markets were rocked after Jeroen Dijsselbloem, head of the Eurogroup of eurozone finance ministers, suggested that the deal for Cyprus model could form a template in any future bailout. Jeroen Dijsselbloem, the Dutch finance minister who as head of the Eurogroup played a key role in the Cyprus negotiations, said the deal represented a new template for resolving future eurozone banking problems. “If there is a risk in a bank our first question should be <<OK, what are you in the bank going to do about that?>>,” he told Reuters and the Financial Times. Jeroen Dijsselbloem later added a clarification, saying that Cyprus was “a specific case with exceptional challenges”. He said the pattern for bank rescues should see shareholders take the first hit, then bondholders, who lend money through financial markets, and only then should depositors with large bank balances be tapped. The Cyprus deal puts the burden for dealing with problem banks on their shareholders and creditors – in this particular case, customers with large bank balances – rather than the government and taxpayers, or bondholders, who lend through financial markets.